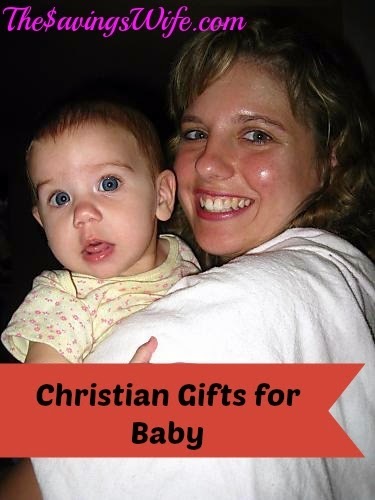 You want to get the new Baby something Special and something to encourage his/her spiritual Growth. Check out these resources below. I've used them all and highly recommend them! These are my absolute favorite Resources for any New Parent or Parents to be. The Bible says to "Seek ye first the Kingdom of God and all these things shall be added onto you." This is just a easy start to teach any new baby to seek God. This is not one of those boring ones that put you to sleep in the car. My kids love this and ask for it all the time. It tales the stories of the bible from Genesis to Now to Heaven in song. I highly recommend this one so far at age of 10 my kids still haven't out grown it. Baby's First Bible: My kids loved this one. It has a handle and bright colors. Lots of animals and object to play look and find games. Parents Guide to the Spiritual Growth of Children: This has an age by age guide of what lessons that you need to teach your children to help them establish their own faith. It also tell you how to teach those truths. Looking for more Baby Posts? A Baby Layette with Just the things you need!